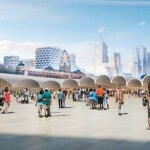 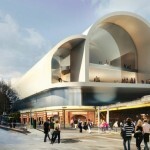 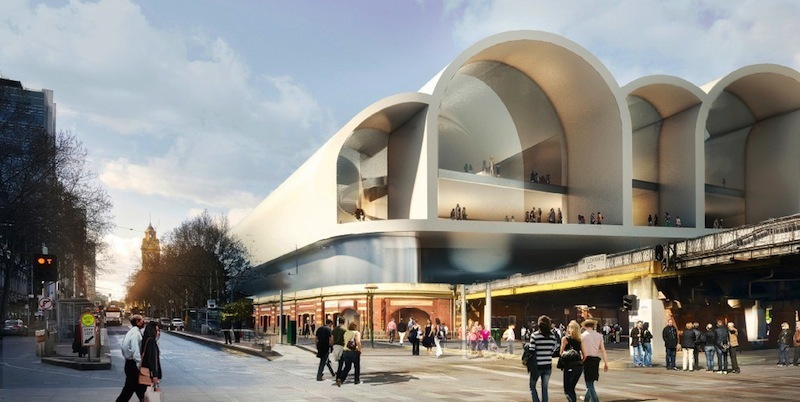 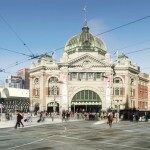 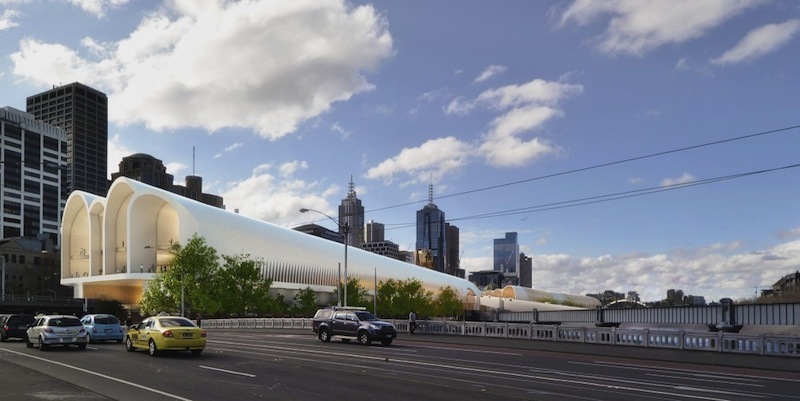 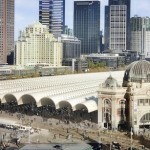 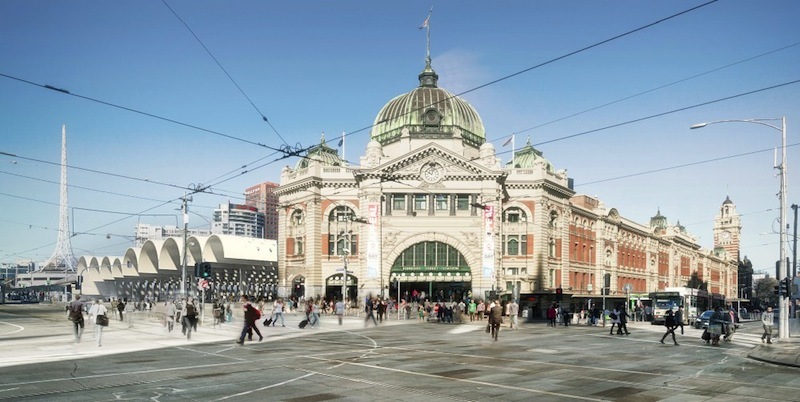 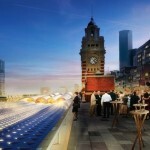 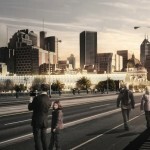 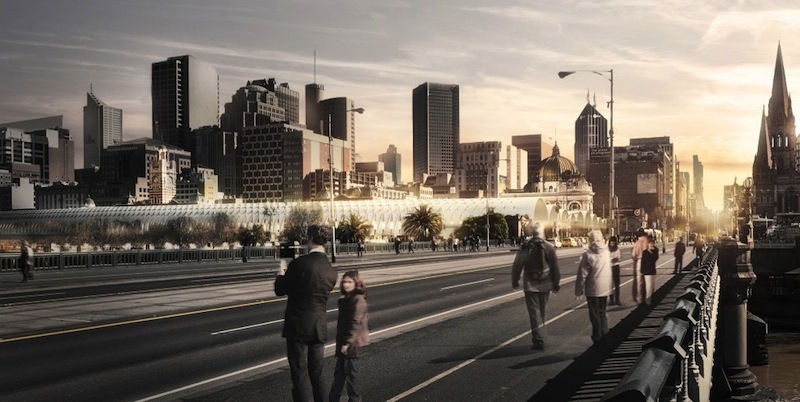 A team led by Herzog & de Meuron has been unanimously selected for the redevelopment of Melbourne’s historic Flinders Street Station after beating out a star-studded shortlist that that included Zaha Hadid and Grimshaw. The team will be awarded a $1 million prize. 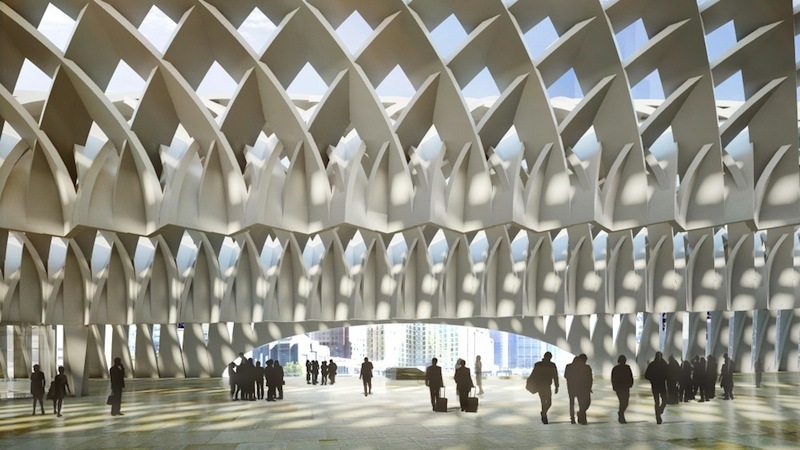 The winning design aims to transform the iconic 1909 train station into a 21st century civic center and transportation hub, preserving the most beloved features of the landmark building while integrating it into a contemporary urban context. 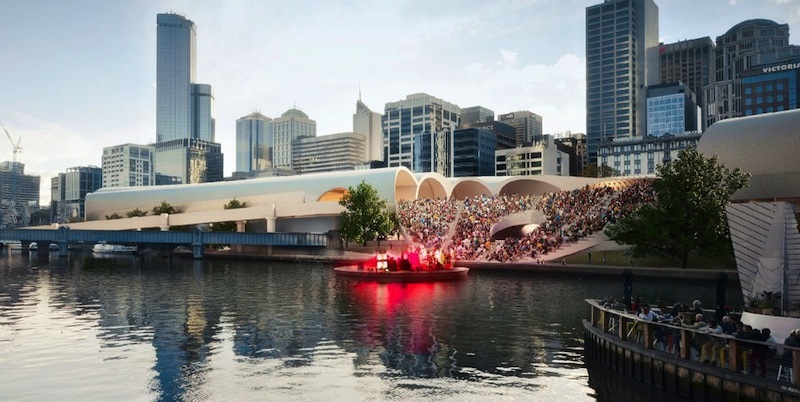 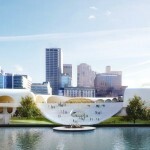 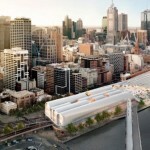 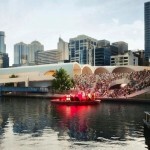 The proposal also incorporates cultural, retail, and civic programs within an adjacent 500,000 square foot site along the Yarra River, including a public art gallery, plaza, amphitheater, marketplace, and permanent space for arts and cultural festivals. 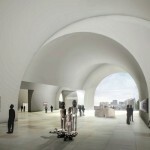 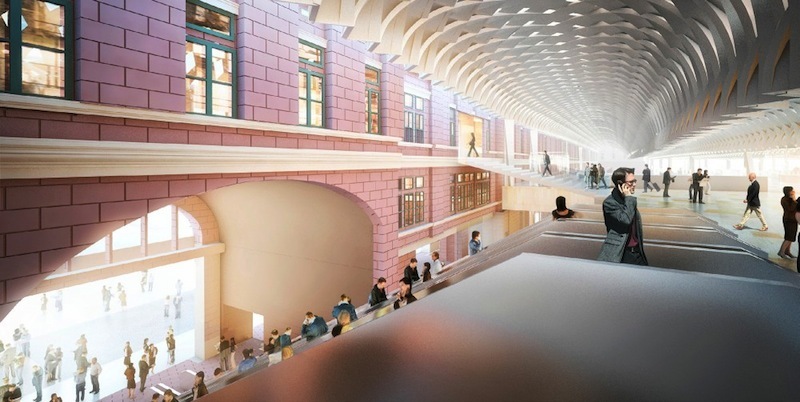 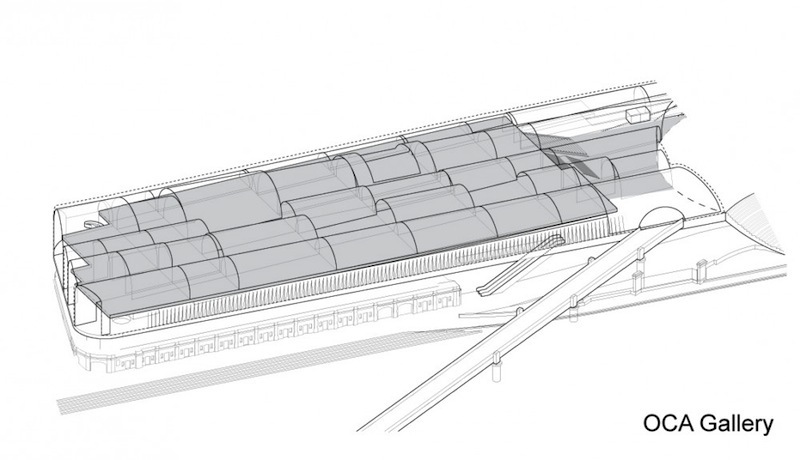 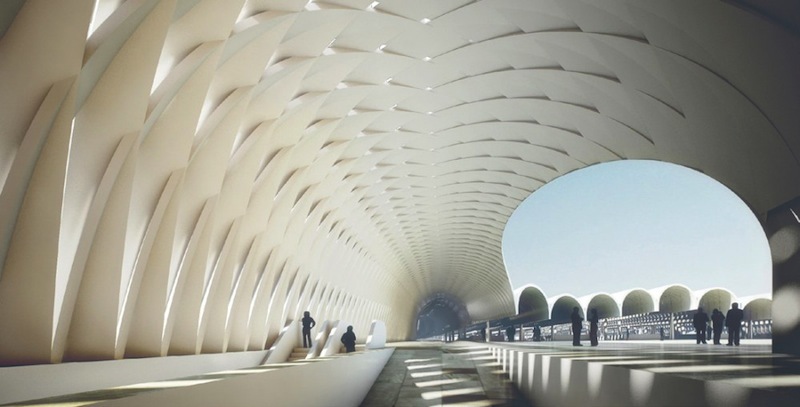 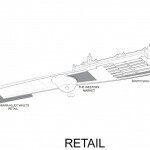 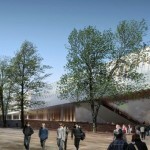 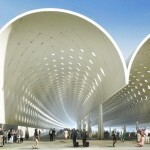 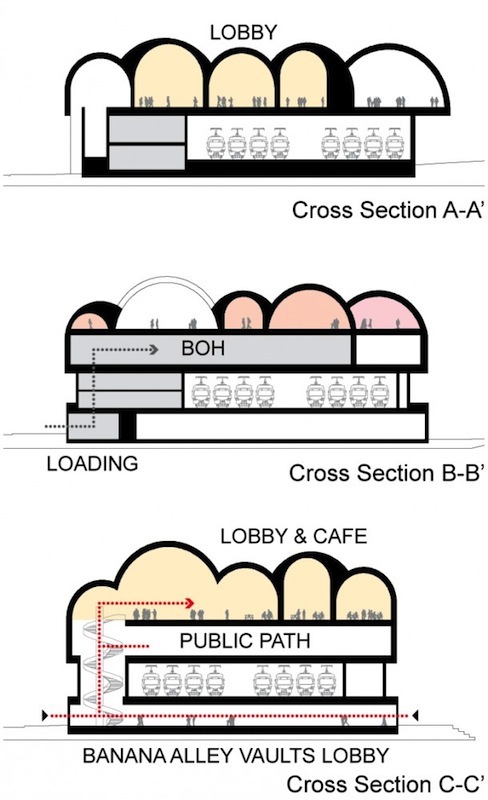 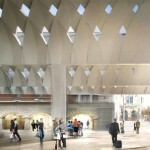 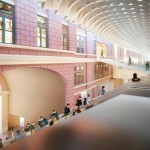 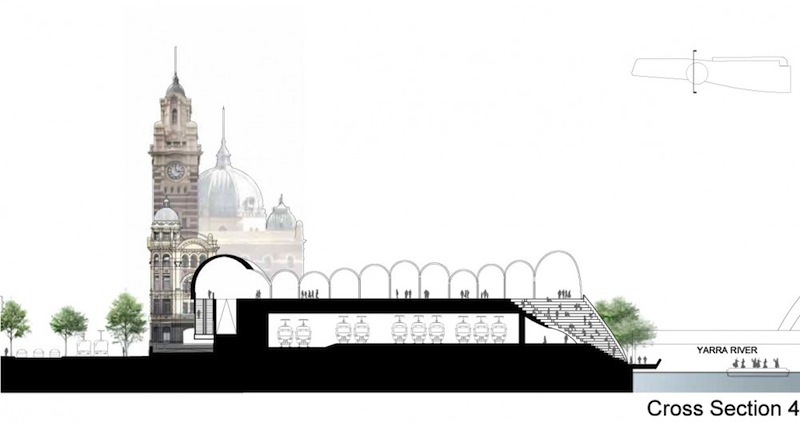 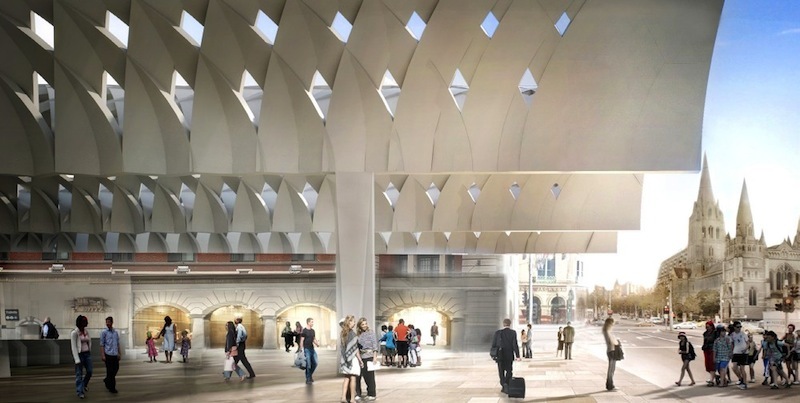 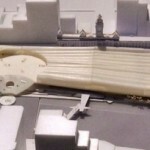 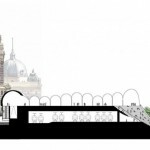 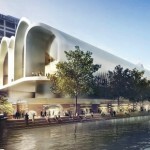 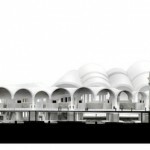 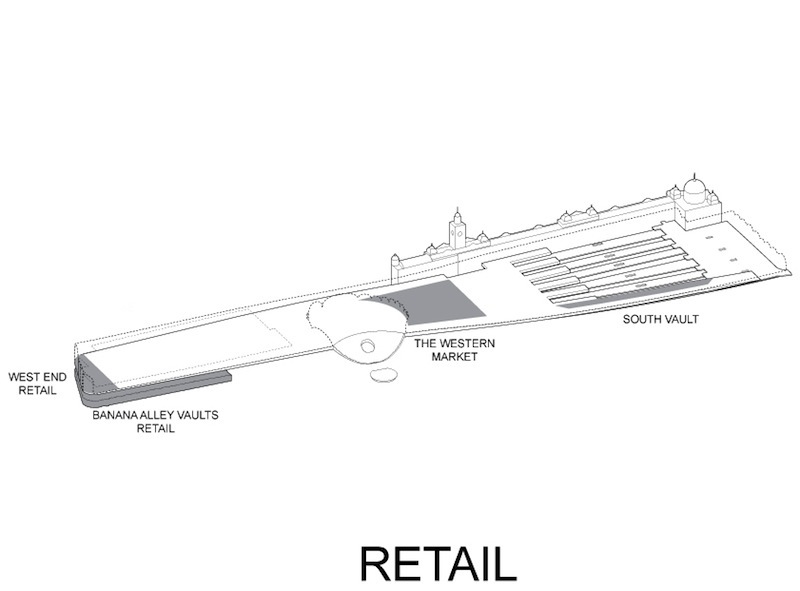 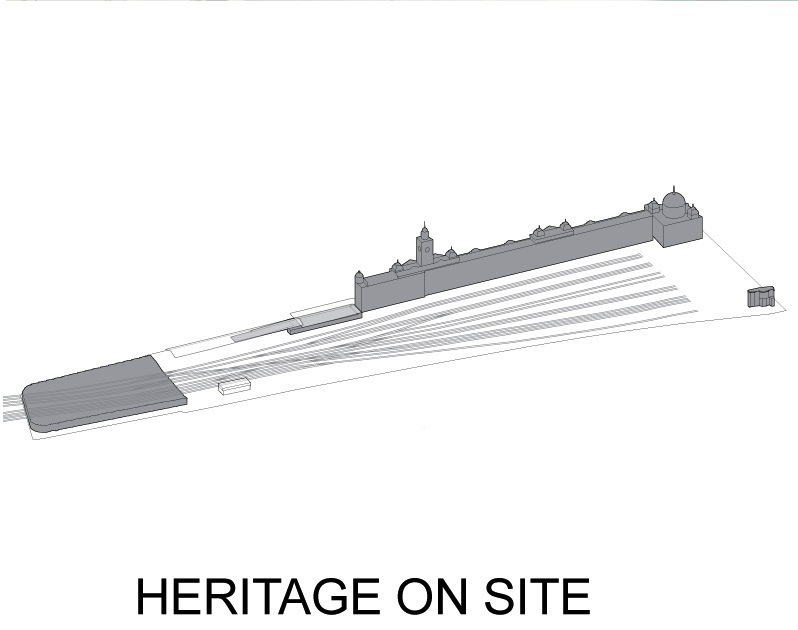 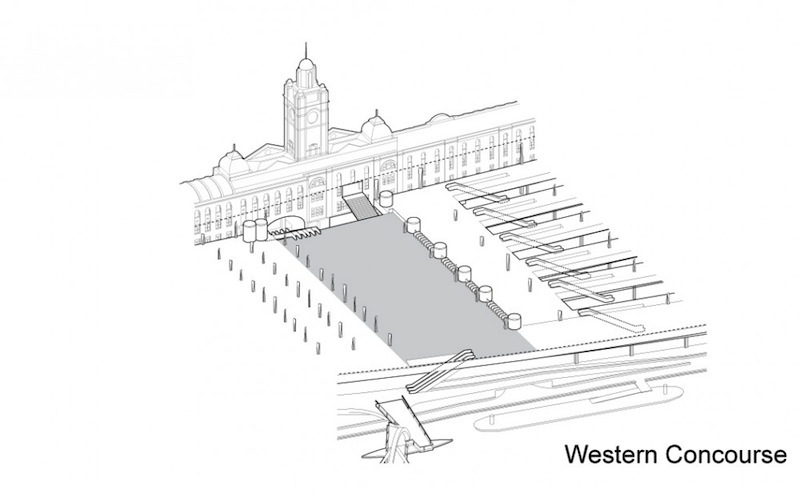 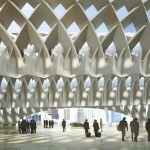 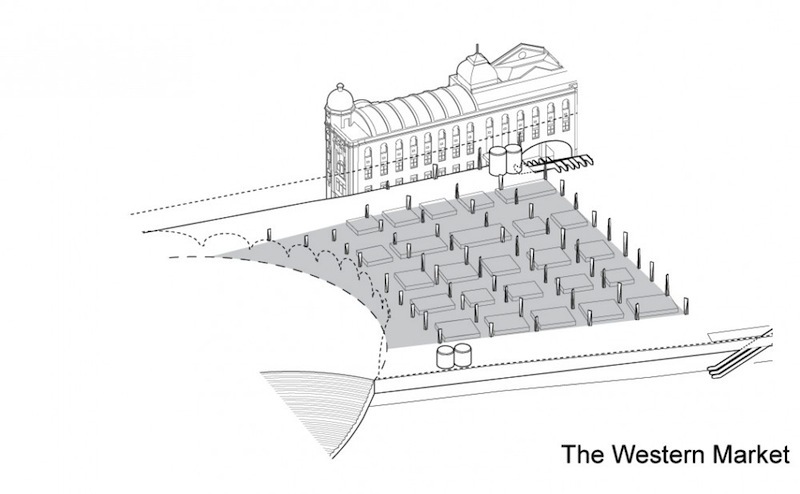 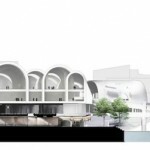 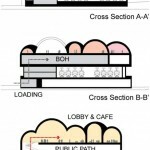 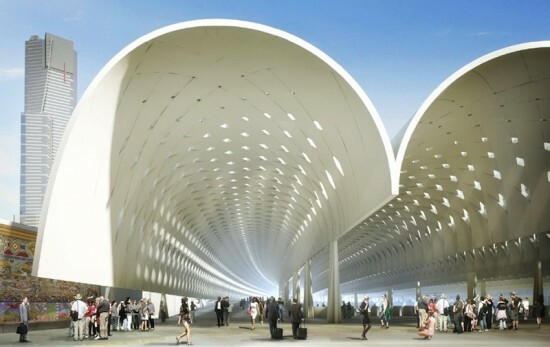 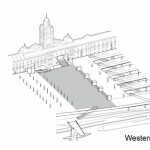 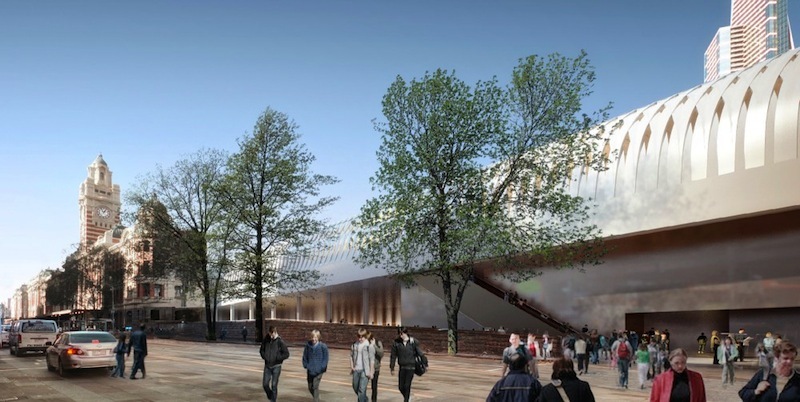 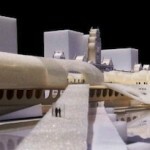 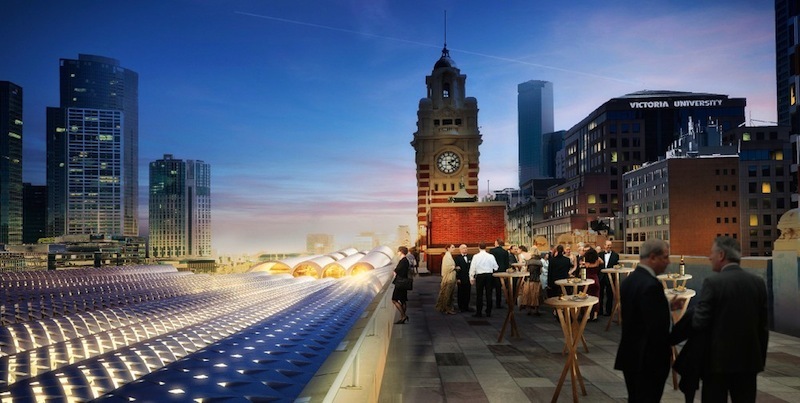 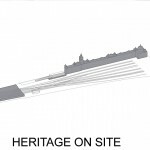 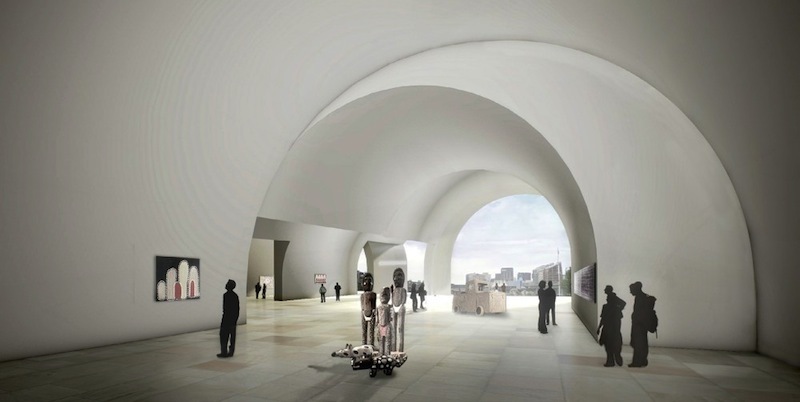 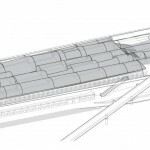 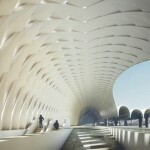 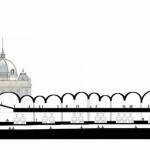 Borrowing formally from the arches of the existing station and unbuilt features of the original design, the new station is composed of long, rippling white vaults, perforated to allow for natural light and ventilation on train platforms. 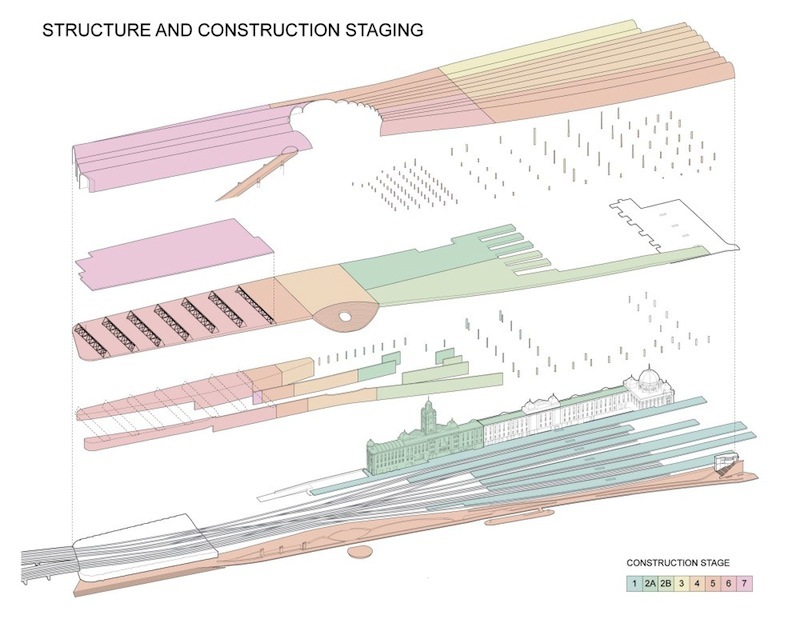 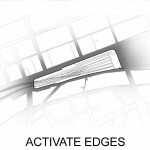 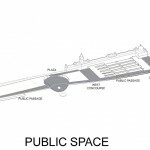 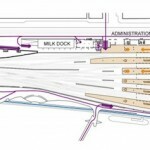 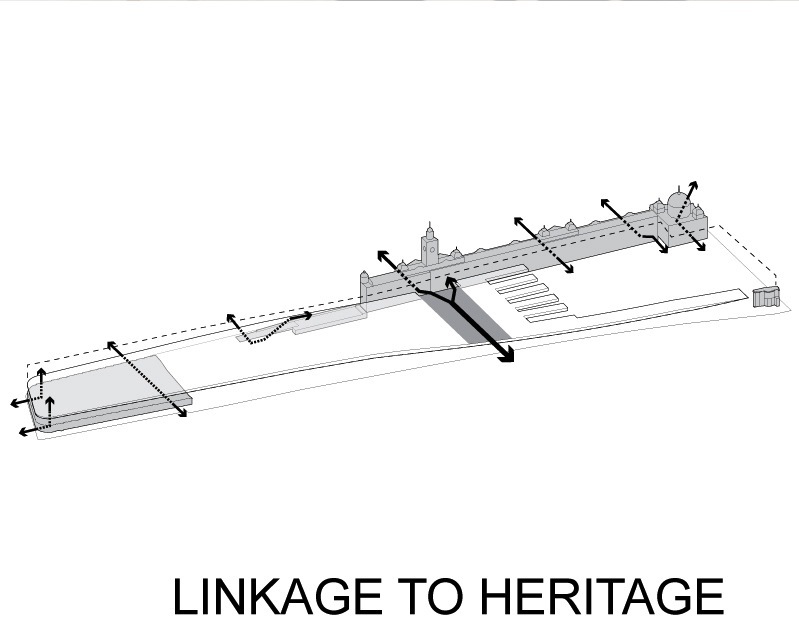 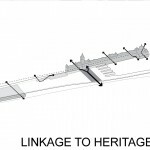 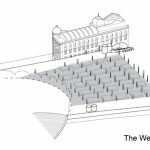 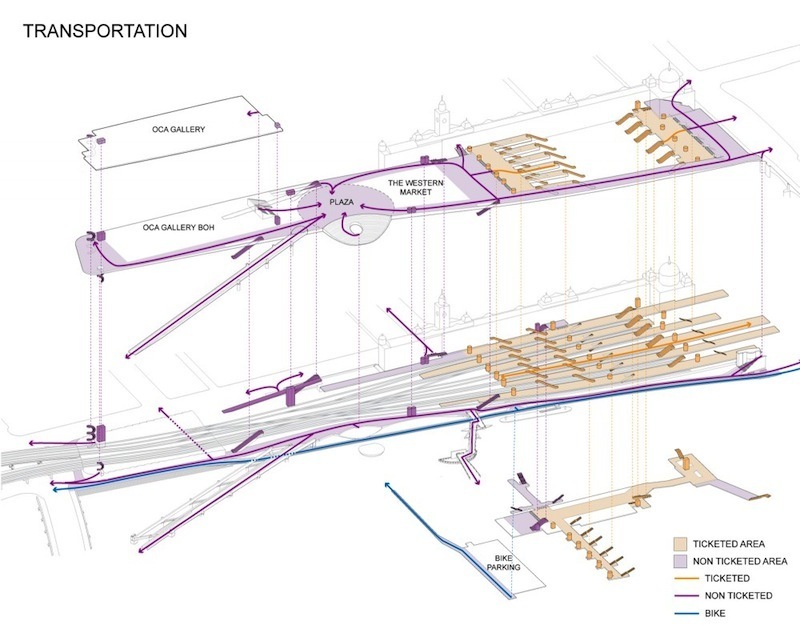 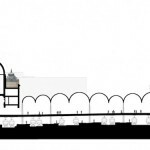 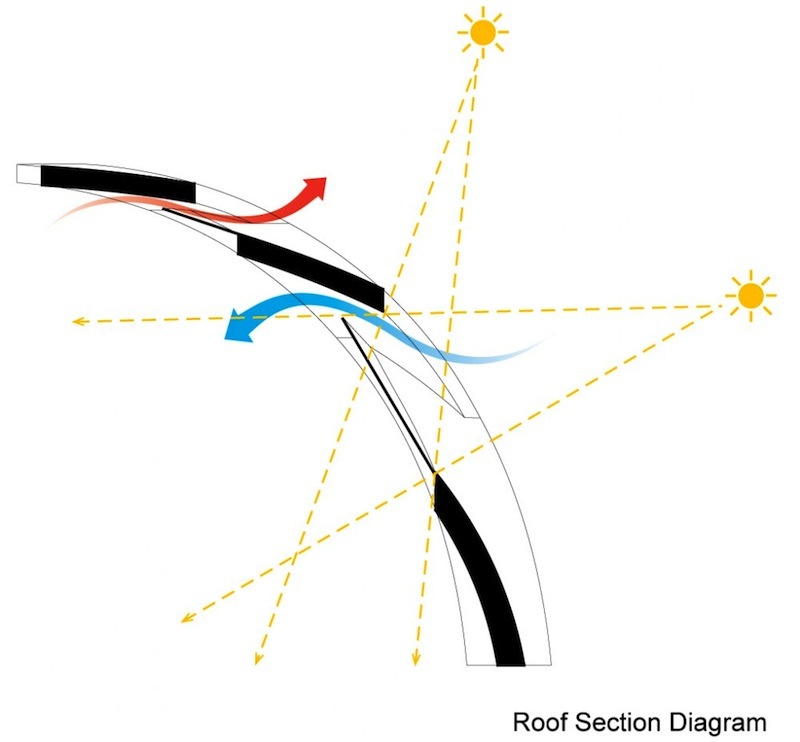 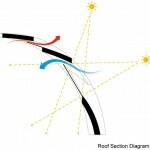 The vaults follow the alignment of the tracks, curving slightly to intuitively lead commuters through to the central plaza and outdoor amphitheater along the river’s edge. 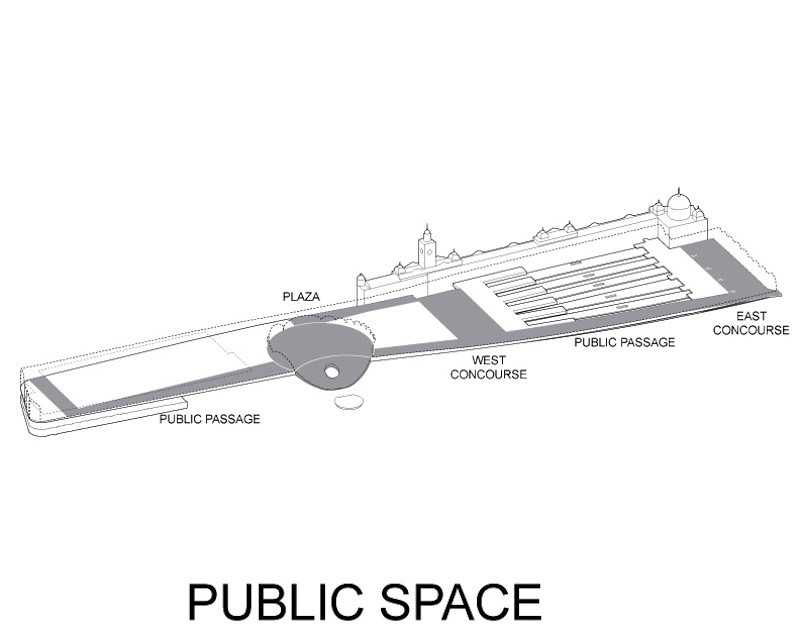 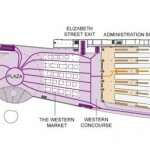 Across the plaza, four similarly styled, straight, white vaults house the civic, cultural, and retail functions. 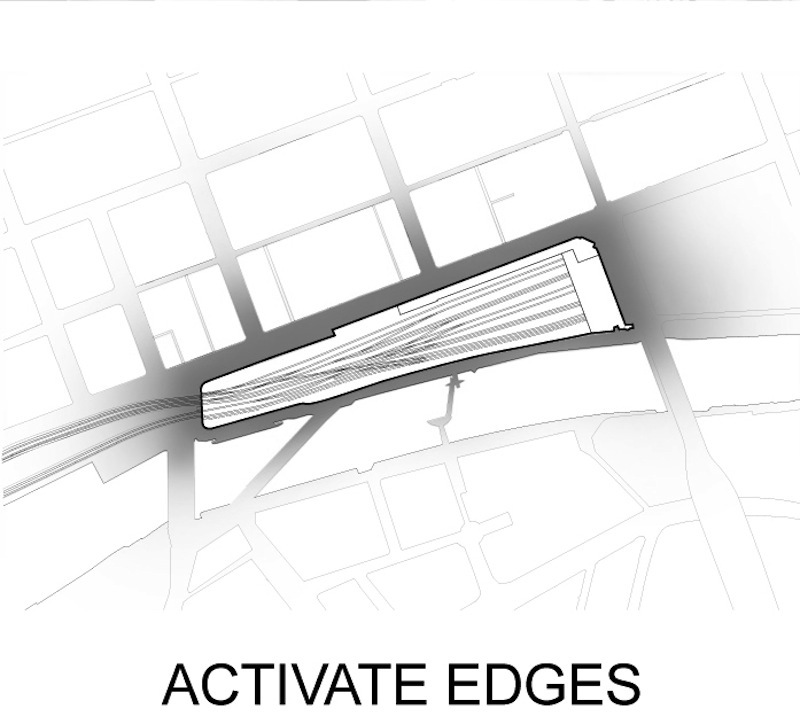 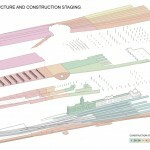 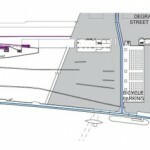 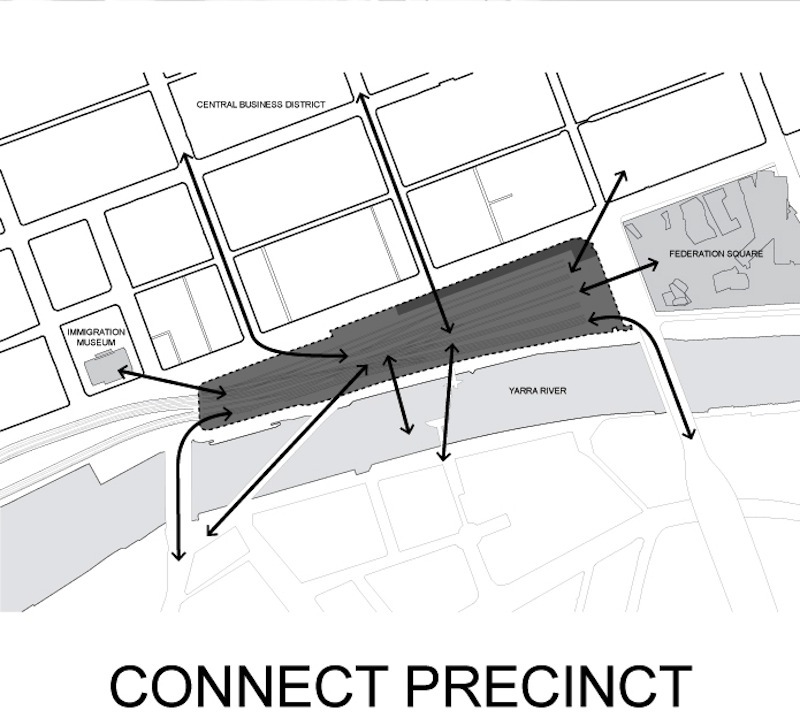 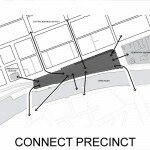 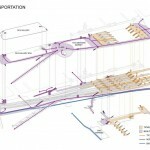 The new design is meant to ease commuter and pedestrian flows through thought the station while readying the site for potential future growth. 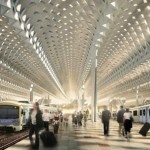 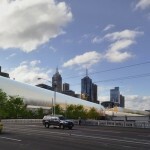 According to Melbourne’s Herald Sun, initial estimates place the cost of the new station between $1 billion-$1.5 billion.